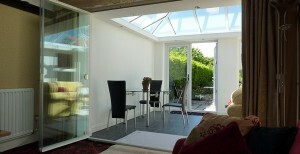 The Benefits of Aluminium for Patio Door Frames. SunSeeker door frames have always been designed and developed using resilient aluminium because of it’s strength and suitability for openings of up to 7.2 metres. We were able to powder-coat aluminium in-house, too, which has allowed us full quality control and helped us to be competitive on price and delivery times. When developing our UltraSlim range of the slimmest door frames available today, the qualities of aluminium became even more important. 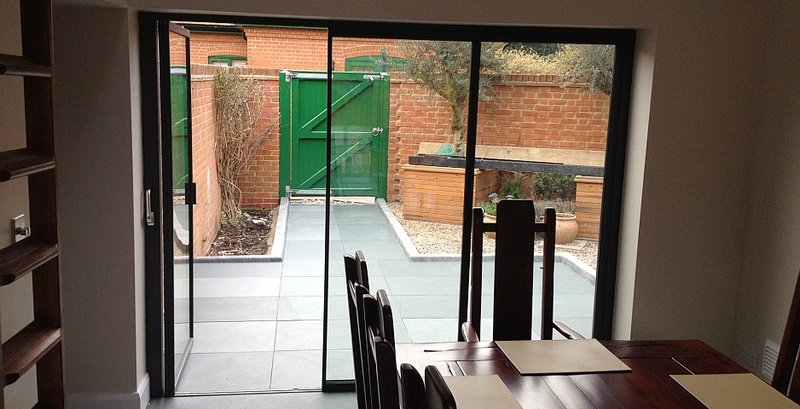 The side-frames on our UltraSlim doors are less than 2cm wide! Aluminium door fames are “thermally broken” which means that the internal and external components of each bi folding door frame are kept apart by a thermal division, to ensure that the temperatures inside and outside do not conduct heat or cold from one surface to the other. The strength of aluminium enables us to create our UltraSlim door frames. They have both a narrow profile and sightlines so that there is a higher percentage of glass to look through or allow natural light: wooden and pvc frames, even re-inforced with metal, are wider. Most people want to see through the glass, not stare at the framework. Aluminium is less prone to damage than timber or plastic and it requires virtually no maintenance – definitely no painting or varnishing, just a wipe with a damp cloth if needed. You will need to ensure that the bottom rail is free from grit, whichever sliding/folding door system you have installed. 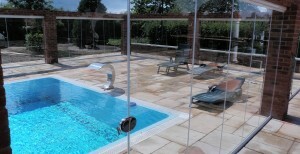 It is easy to slide UltraSlim patio doors along the guides. Take a look at our video demos.